Calendar: «World Day Against Child Labour». «It should be the blessing of every child» illustrated quotation. Child Labour, free quote pictures for Facebook, Twitter, LinkedIn, Reddit, Pinterest and other social networks. 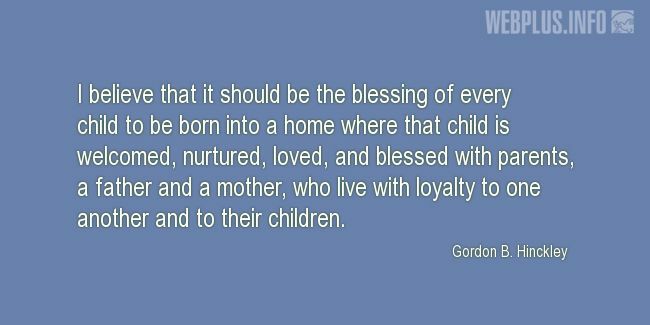 I believe that it should be the blessing of every child to be born into a home where that child is welcomed, nurtured, loved, and blessed with parents, a father and a mother, who live with loyalty to one another and to their children.